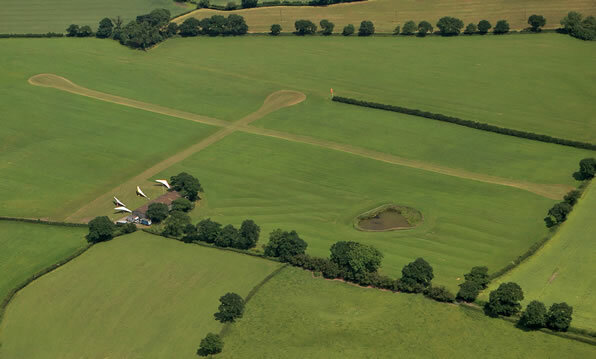 For a pre-booked flying lesson/gift flight you need to go directly to the flying site. For those with SatNav the nearest post code is CW11 4SY, but the flying site is further along Hemmingshaw Lane. Important Note: Once you have turned off the A534 into Hemmingshaw Lane, continue straight ahead - do not turn again. This is a very narrow lane which passes some farms and soon becomes a simple farm track. You must respect the farming community and drive very slowly and with extreme caution. It may be necessary to open and close some gates along the way. Arclid Co-ordinates: N5308.50 W00219.00 (262’ amsl – 9mb). 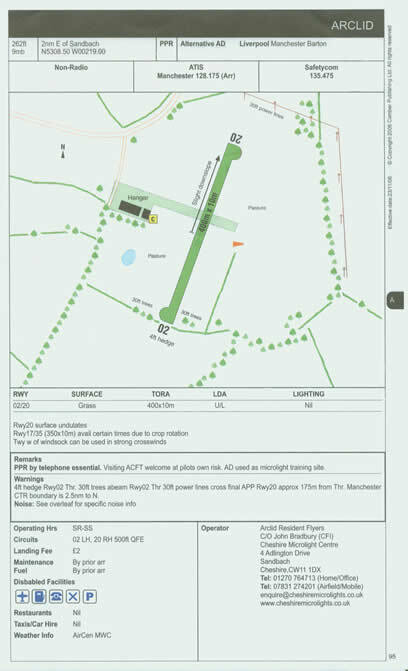 Details: The airfield is a club flying site where Cheshire Microlight Centre operates a microlight training organization. The field is located ½ nm east of Sandbach Services on the M6 and approximately 1½ nm east of Sandbach town, situated beneath the Manchester CTA (2500’). Procedures: Standard Overhead Join at least 1000ft QFE. Circuit W at 500ft QFE, keeping circuits tight to the field. Blind call on 129.825 prefix “Arclid Traffic”.